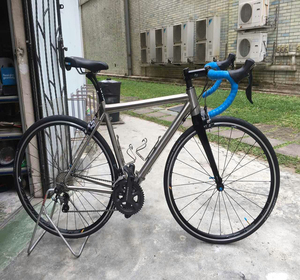 belt drive road bike 1. The titanium frame in the proper maintenance can be use very long. 2. Titanium does not rust and easy maintenance . 3. A good titanium frame texture is very good, has a unique sense of metal, which is titanium unique. Secondly,Titanium is a self-healing metal that forms an oxide ceramic skin over itself when scratched. 4. Strength-to-Weight Ratio Titanium has superior strength-to-weight ratios. 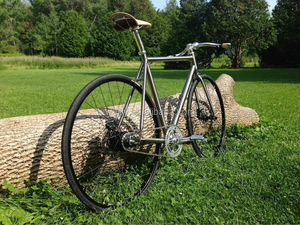 Never worry about the traces of time on a titanium frame, for it is rust free. 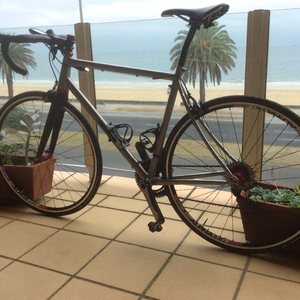 titanium frame full suspension 1.Titanium can be made very light weight and great strength of the frame. Strength of titanium and Steel almost the same, but it weighs only about 57% of steel. 3.Do you accept customed9 Yes, we can according to your unit weight or drawings processing. Payment: -30% T/T in advance and 70% balance should be made before shipment. 3). 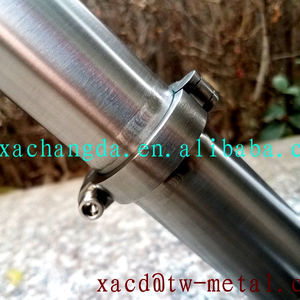 Products Package and loading Our Factory Tianjin Haiyue Mechanical and Electrical Co. , Ltd is a professional manufacturer in the line of bicycle frame & fork parts in Tianjin, China. to produce a high technical content ,futuramic titanium alloy products. 4. after sending, we will track the products for you once every two days, until you get the products. If you have any questions about the problem, contact with us, we will offer the solve way for you. Or according to customer special packaging requirement. We will send you the tracking number as soon as we get it. We will also E-mail you the package list. Shenzhen Zhongwei Composite Material Co., Ltd.
give to me after you have finish delivery9 A4: Yes, we will give you tracking no. Can you help me9 A5: Yes, we understand, we can fill the declared amount according to your requirements. As long as you tell us your name, the color you want and your prefer pattern. 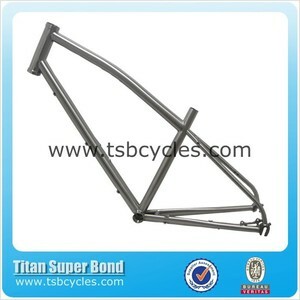 Alibaba.com offers 87 split titanium road bike frame products. About 8% of these are bicycle frame. A wide variety of split titanium road bike frame options are available to you, such as road bicycles, cruisers. You can also choose from no, yes. 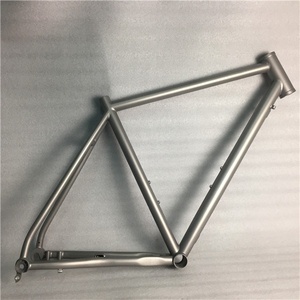 There are 7 split titanium road bike frame suppliers, mainly located in Asia. The top supplying country is China (Mainland), which supply 100% of split titanium road bike frame respectively. 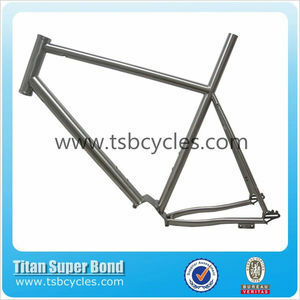 Split titanium road bike frame products are most popular in Western Europe, Southeast Asia, and North America.